Neptune - Pelagic Technologies Inc.
Pelagic Technologies has been privileged to provide dive and consulting services to Ocean Networks Canada for their highly anticipated and advanced Underwater Cable Observatory project at Folger Pinnacle in Bamfield, British Columbia. And after years of collective planning and design by the entire Folgers Team, the last node for this project (originally Neptune Canada) was successfully installed on February 2, 2011 at Folger Passage to bring this exciting project to completion. The Pelagic Dive Team, along with Neptune science staff and the Bamfield Marine Station's Lead Captain, battled spring storm weather and underwater surge to finally get the instruments energized and successfully collecting data. From start to end, this entire project was a team effort with countless hours and days spent in the design process and on the field. The installation proved to be a challenge for our dive crew as the site is highly exposed to the weather and heavy surge can be felt well under 100 feet of depth, but we were thrilled to be part of such a unique opportunity. Read the full story. 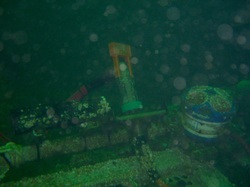 View during the installation of the sub frame & instrument platform. Folger Pinnacle instrument platform is now back online, streaming data and video from 23 m below sea level in Folger Passage. The Pelagic dive team recently installed a newly repaired and configured instrument platform back on to the Neptune Canada cable observatory system located at Folger Pinnacle. In addition our team assisted in the laying of a new 1500 meter fibre optic cable down the reef. 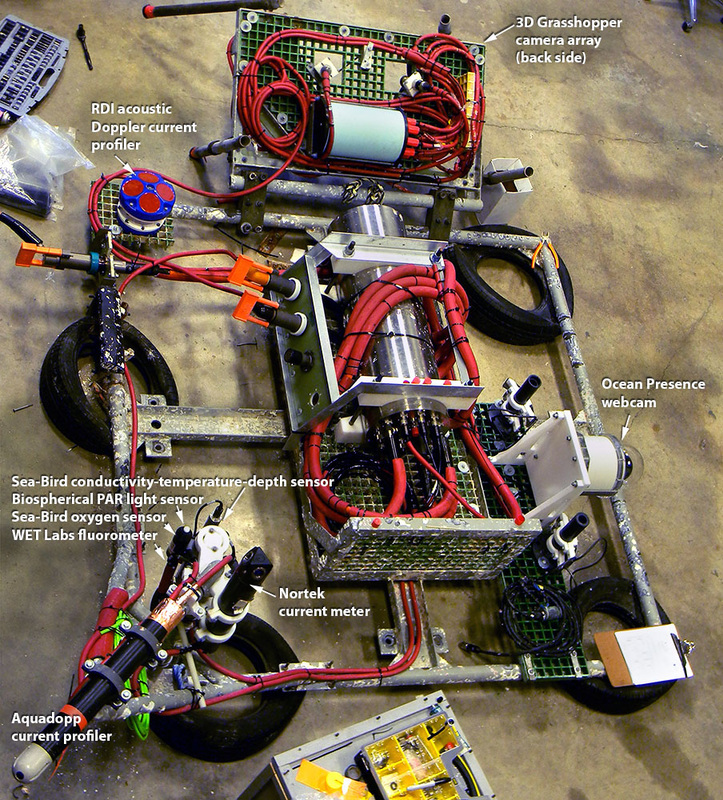 The entire project was a great success and now we wait for the deep water ROV team to plug it in. 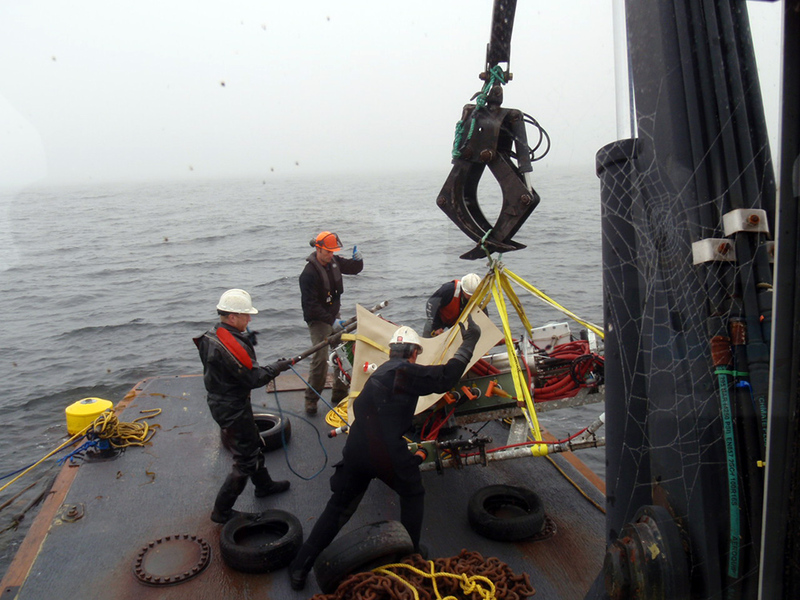 This project was conducted in conjunction with Neptune Canada staff, Ocean Dynamics ROV team, Bamfield Marine Science Centre's boat and dive staff & barge services from Norwespac industries. For more details on this project and the other platforms within Ocean Network Canada's system, refer to their story on their website.